By improving the elasticity of the hair’s cortex, Biotin supports hair strength and helps prevent breakage and loss.2 In addition to this, dry skin and brittle nails are thought to be caused by Biotin deficiencies and have been reversed through even short periods of supplementation. *1 It’s no wonder they call Biotin the beauty vitamin! 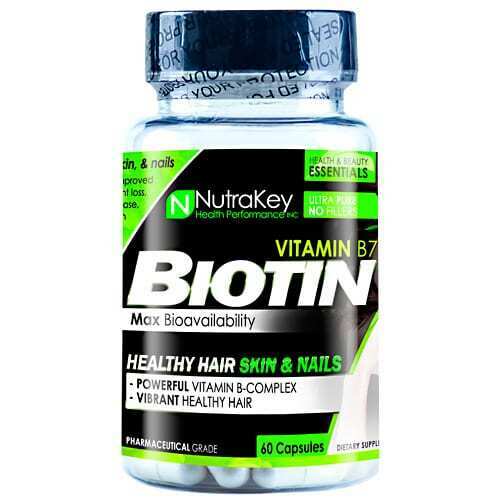 So whether you’re seeking stronger hair, clear skin, or more energy throughout your day, Biotin by NutraKey provides the added boost you need to turn your goals into reality. NutraKey products are Pharmaceutical grade ultra-pure for maximum bioavailability. Pure vitamin powder with no fillers or additives. HPLC verified.